The Aquamatic Sterndrive is the world’s leading sterndrive. In its own unique way, this well-proven system offers a total solution for boaters seeking the ultimate combination of performance, driving experience and comfort in 20-45 ft boats. It’s a perfectly matched package – cleverly thought through from the controls, to the engine and all the way to the drive and propellers. Aquamatic Sterndrive is available with a wide range of fuel-efficient, yet sporty diesel and gasoline engines. Read more about engine range. An Aquamatic Sterndrive with DuoProp propellers achieves the same efficiency as Volvo Penta IPS – both reduce fuel consumption by up to 30% compared to inboard shaft installations. The buttons on the joystick put a unique combination of functions within easy reach. 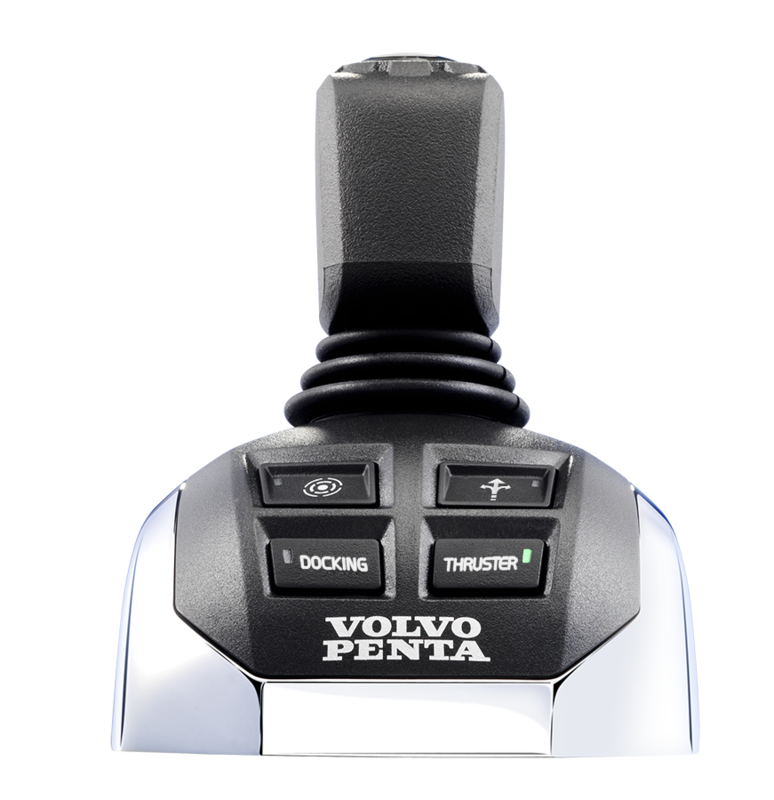 Joystick Driving, Joystick Docking and High Mode offer easier handling, increased safety and more fun. Powertrim Assistant can be synchronized with the Interceptor System in an Aquamatic application. This automatically gives the best possible drive trim. The result is maximized comfort regardless of speed and maneuvers, ­together with low fuel consumption. The Aquamatic Sterndrive system is perfectly matched for optimal performance. Since introducing the first version in 1959, Volvo Penta has continued to evolve the design by developing, testing and manufacturing the whole package – the key to the outstanding efficiency. To improve your boating experience further, you can choose from a wide range of options for easier and more comfortable boating. The technology in our newest generation of V6 and V8 gasoline engines is meant to move you. Performance upgrades and improved fuel economy moves us. But we’d rather you notice the smiles on your family’s faces, the way the wind whips your hair at full throttle or the sound of your wake lapping against the shoreline at dusk. Rest assured, our latest generation of sterndrive engines are engineered for technical superiority, but they are also designed with fun in mind. Your fun. 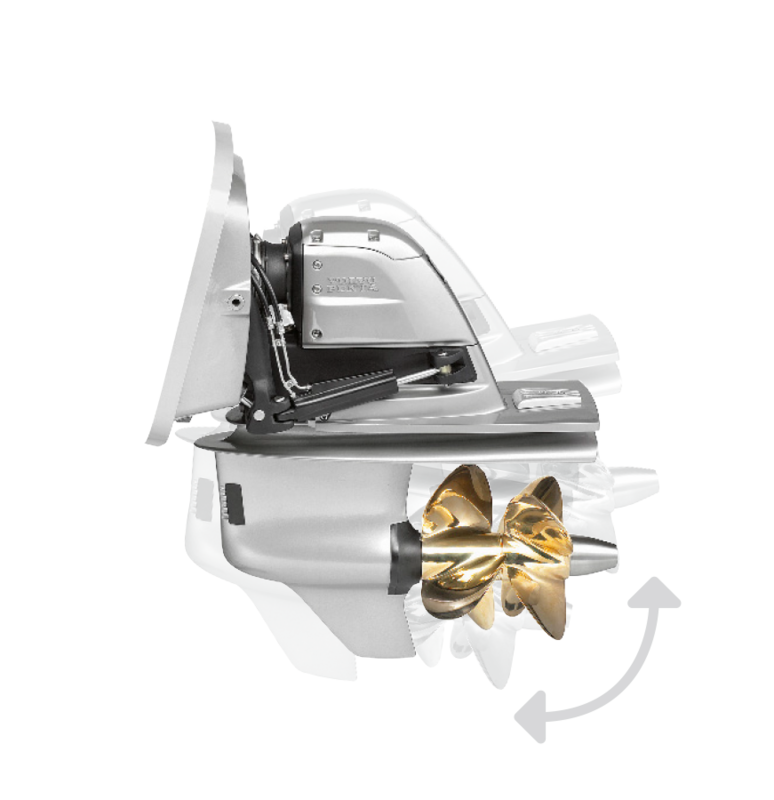 Volvo Penta Forward Drive – the new standard for getting the most fun out of your boat. Twin counter-rotating, forward-facing propellers pull the boat rather than push it for higher top speeds, faster acceleration and superior maneuverability. And maybe a quickened pulse. The result is a propulsion system capable of big wakes, smooth cruises and everything in between.